As Ohio Goes, So Goes The Nation! 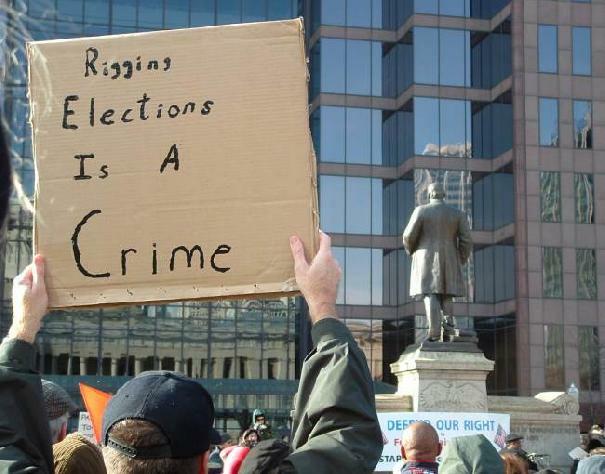 we have only 111 days until September 2006.
stolen election now, but we need every piece of it we can collect. US House of Representatives, in Ohio’s 12th District. I ran for Congress this year, and will run again in 2008. I have been working diligently since November 2004 with some private citizens to get the 2004 election evidence that needs to be recorded. TIME AND WE NEED HELP. your democracy, too. PITCH IN! Call Paddy Shaffer (614) 266-5283. I'll fill you in. Ohio, Senator John Kerry will be a graduation speaker. 11/02/04 to vote for Kerry. The 7 million $$ KERRY raised at the end of his campaign to guarantee the votes be counted... MUST be used to investigate the 2004 Ohio Election. Share your thoughts about that with John! Especially if you donated money or volunteer hours to him in!